Bootstrap 4 brings many changes and new features to the grid system we are all so familiar with from version 3. The new grid is now powered by flexbox, lots of utility classes have been renamed, and a new XL breakpoint has been added. When we first wrote this article, Bootstrap 4 was supposed to have two separate grids. Shortly after we published it, a new Alpha was released, making flexbox the only layout mode of the framework as well as introducing some new features. We have updated the article to reflect those changes. A cool new feature of the Bootstrap 4 grid is the auto-layout mode. 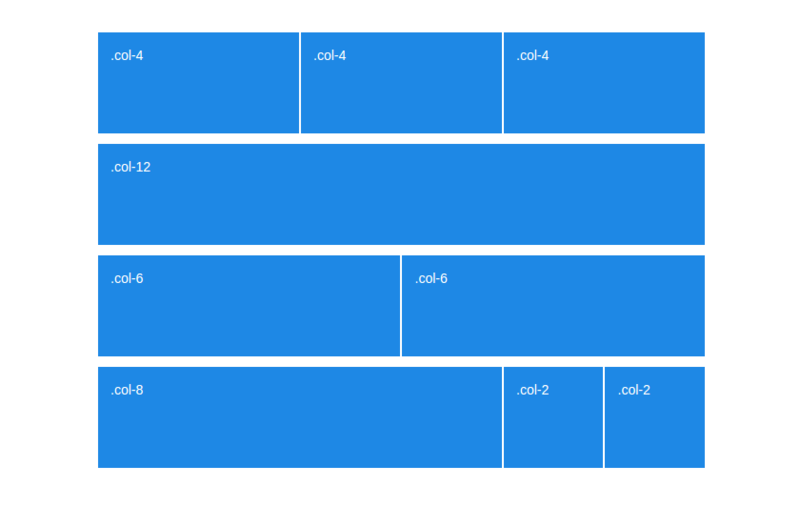 It lets developers leave out the size of columns, making them automatically distribute the space in that row. Sizeless columns share the available space equally, always filling up the entire row. 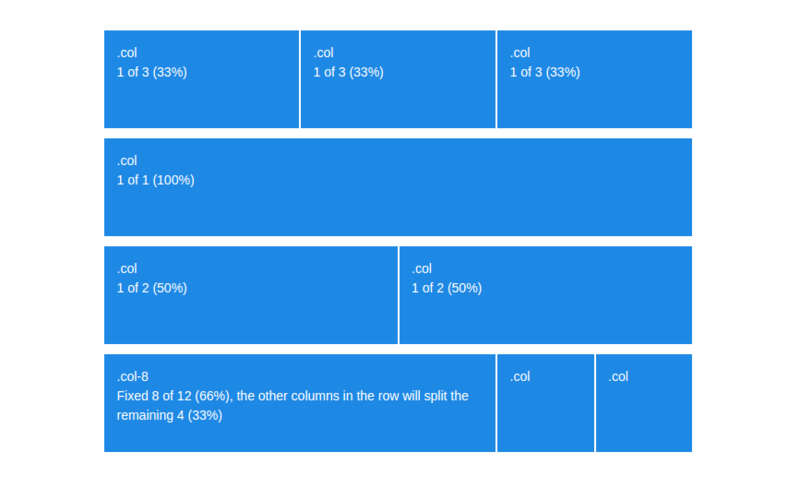 If we want a column to be bigger or smaller, we can still do that with a .col-size class. When the sum of all columns in a row is over 12, the first extra column will move to the next line. This is known as column wrapping and works the same way it did in non-flexbox bootstrap. The only thing to note here is that when using the auto layout, a sizeless column that took up only a couple of spaces, can take up the entire row once it wraps. Other than that, there haven't been any changes to the way responsiveness works. The old grid system was built on floated elements and because of that every column has a different height, depending on the content it holds. 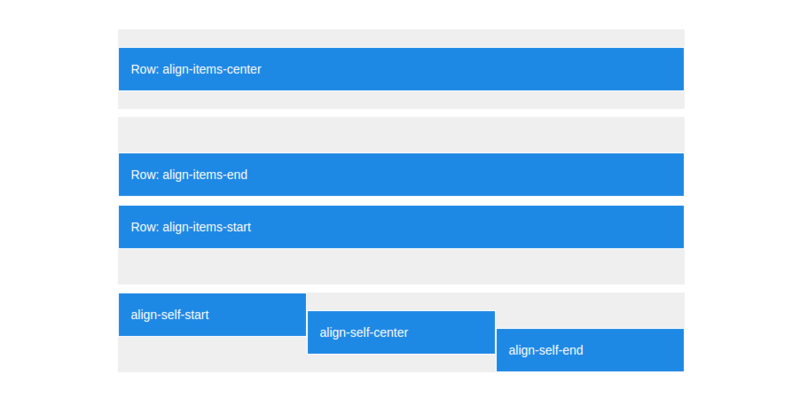 In flexbox layouts all cells in a row are aligned to be as tall as the column with most content. In old Bootstrap, positioning columns horizontally is done via an offset system. Offsets work like empty columns and allow us to move elements to the right (e.g an .col-xs-offset-3 moves the column 3 spaces to the right). This can be a little annoying as we need to manually adjust the amount of spaces needed. Thanks to the justify-content property, horizontal positioning in flex-strap is as easy as adding the correct class. Also, if you want to use offsets, you can still do that as well! Just keep in mind that the classes are now shortened to .offset-xs-*. There are no options for vertical alignment in the Bootstrap 3 grid. The only way to do any sort of vertical positioning is using custom CSS and it is often messy. With the old grid system, if we wanted to swap around the order of columns we needed to use push and pull while manually adjusting the correct amount of places to move left and right. .flex-unordered - Displayed between first and last. No manual calculations are required. If you need to order more than 3 columns (which rarely happens) you can use push&pull or the order property via CSS. Looking back at the points covered in the article, its pretty clear that going full flexbox brings a lot of great features and makes the grid system much more advanced and versatile. The only real drawback is the lack of support for IE9 and older browsers (all modern clients have full flexbox compatibility), if you don't have to support those you're good to go. Bootstrap 4 is Amazing, I suggest to use it even that's on Alpha version. Nicely explained article. However, to get a thorough idea on How the overall Grid Systems Work In Bootstrap 4 can read the article which I found pretty useful. Nicely explained article. However, to get a thorough idea on [How the overall Grid Systems Work In Bootstrap 4](https://fluentthemes.com/how-grid-systems-work-in-bootstrap-4/) can read the article which I found pretty useful. One thing I have always hated is flexbox. Not supported well in Mobiles or Safari - I have recoded so many client sites because of the lack of support that it now has; that I have for life decided to hate it. The annoying order feature and flex-order and flex width - no thanks. I will stick to divs! Actually flexbox is now supported by almost all popular browsers. Here is a link to caniuse, and as you can see it's almost all green across the board. Safari also supports it, just needs prefixes (which yes - anoying), but Bootstrap fixes that for you (yay Bootstrap!). Everybody should be using flexbox for layouts, whether in bootstrap or anything else. it's just more powerful with much more control. ... unless you need support for earlier browsers! Great article, this one is awesome. Wonderful explanation and comprehensive examples! Thank you! Great article, thanks! It's good to see Flexbox being integrated into Bootstrap. It's a really nice way to do layout.